A&B Accessories has a variety of seating options to complement your spa and enhance your backyard. 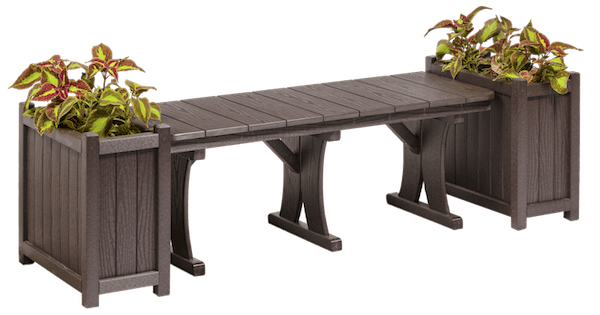 Crafted with our HDPE material, your new planter or storage bench will be durable, weatherproof and effortlessly classy. Our benches are perfect nestled between two planters, fit around your spa or being used to store your towels and aromatherapy oils. Perfect spot to perch among seasonal plants. 17″ high, 17″ deep, 46″ wide. 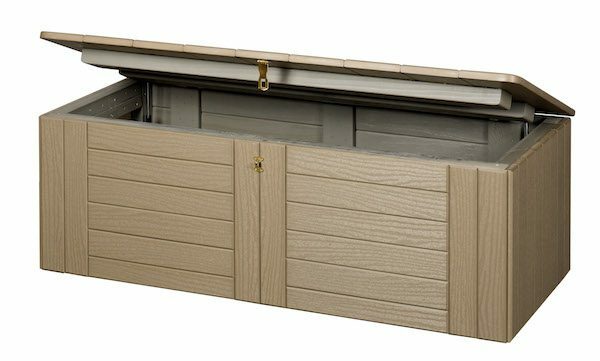 Versatile weather tight storage with hydraulic lift assist and brass hasp. 49″ wide, 22″ deep, 17″ high.